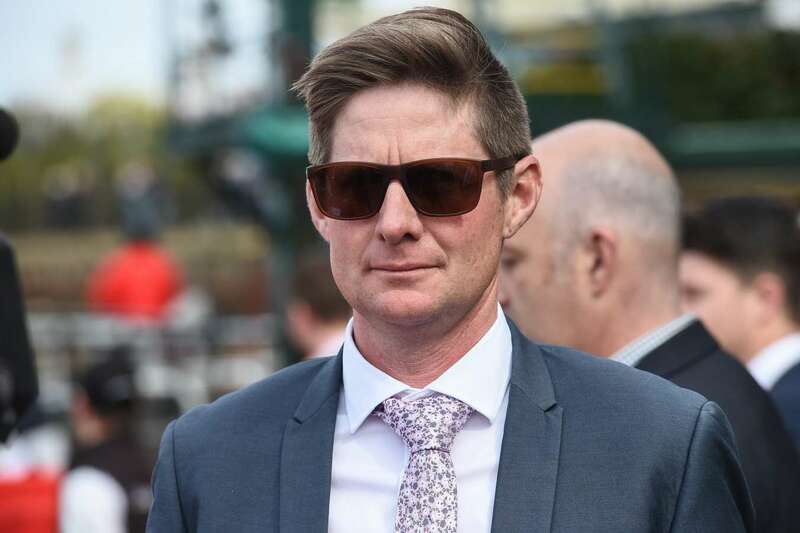 Trainer Jarrod Mclean has been charged with making false or misleading statements over where Trap For Fools was stabled ahead of a scheduled start in a race at Caulfield. In addition to training his own team at Yangery, McLean is also the licensed foreman in charge of Darren Weir’s nearby Warrnambool stable. Racing Victoria stewards ordered Trap For Fools’ withdrawal from the Coongy Cup on October 20 after determining the horse was already at Weir’s stable in Warrnambool and not residing at Yangery as McLean had said. Stewards said one of their members received a text message from McLean at 6:09pm on October 19 saying Trap For Fools would be sent to Weir’s stable at 4.30am the following day. McLean told stewards the horse had been taken to Weir’s stable the previous night between 6.30 and 7pm. They say the text message was false and/or misleading because McLean knew when he sent it Trap For Fools was already at Weir’s premises. Trap For Fools was denied a place in Saturday’s Cox Plate when the Moonee Valley committee determined his form did not warrant a start in the weight-for-age championship. He instead ran in Saturday’s Moonee Valley Gold Cup (2500m), finishing second to Ventura Storm after leading everywhere but the final few strides. It means he will have to rely on a high attrition rate to get into the Melbourne Cup.